Our exclusive Elite Basketball Academy is a large part of our year-round commitment to working with potential collegiate/professional female basketball players. 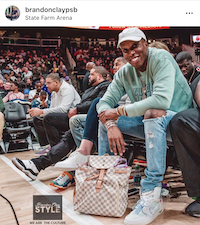 We’ve been fortunate to train players who have played for USA Basketball, in the WNBA and been named All-Americans as well as Conference Players of the Year at the collegiate level. Several of our alumni have been named Elite Basketball Academy, McDonald’s and WBCA All-American’s at the high school level. Our Elite Basketball Academy (EBA) All-American Showcase will bring the country’s top prospects together for two days. The EBA All-American Showcase is ideal for college prospects to train and compete with the best. 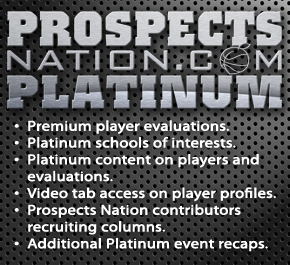 All players attending an Elite Basketball Academy Showcase that occurs on a non NCAA-certified weekend will receive a new or updated evaluation on their ProspectsNation.com player card. Evaluations and cards will be entered within 8 to 10 weeks of the conclusion of camp. 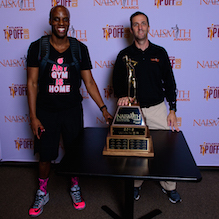 1) We serve on the NaismithTrophy.com National Player of the Year and All-American Team Selection Committees. 2) Our camp evaluations are precise. We provide a base for elite players to go back home to work and improve their games. 3) We service over 200 colleges and universities annually with our evaluations ranging in level of play from Notre Dame to Emory. 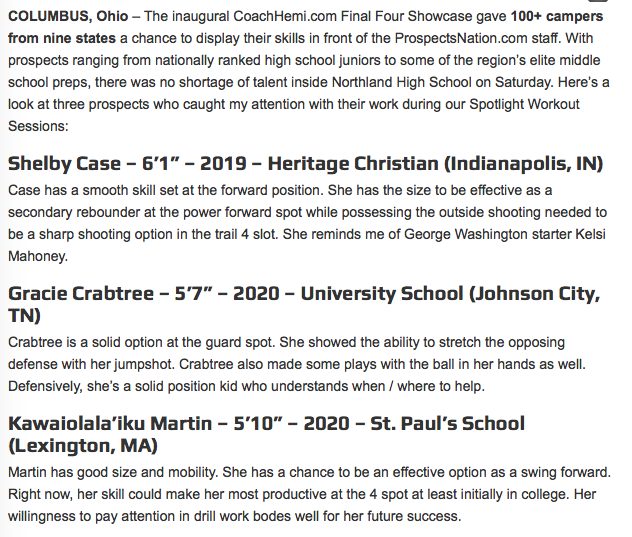 4) Our #EBAAllAmerican Showcase will bring some the country’s top prospects together to work with and be evaluated by both the JumpOffPlus.com International Scouting Report and ProspectsNation.com staffs. If you are an existing user, click ‘Exisiting User’ and login. 2. If you are a new user, click ‘New User’ and create an athlete account. 5. Select the event you want to register for. Players enrolled in the program who will be attending this showcase. 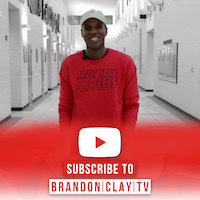 Their ProspectsNation.com player cards will be updated with a new evaluation from Brandon Clay within 7 days of the completion of the event. 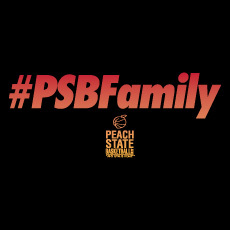 ***Email Brandon (BrandonClay@PeachStateBasketball.com) for details on how to join the program. ***Maximum of eight players per small group. Groups / session times will be assigned the week of the showcase. Sessions will begin as early as 1:00 pm on Saturday. Please plan accordingly with travel logistics. ***Please arrive 15 mins before your scheduled group time. ***All participants need to bring their own basketball for the skill sessions. ***All campers need to bring their own basketball for the skill sessions. ***Approximately :45 highlight clip using video from the event. Available for an additional $85 per camper. Takes 8-10 weeks post camp for highlights to be posted to ProspectsNation.com Player Card.